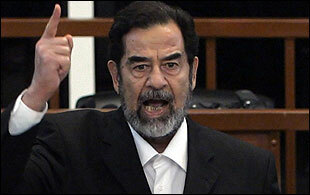 So Saddam Hussein has been found guilty of crimes against humanity - that's good. Saddam has been sentenced to death by hanging - that's bad. I don't see the sense in allowing this despicable human being to become a martyr. Let him instead live out the rest of his miserable life in some rotten jail cell. Iraq is in a bad enough way as it is and I feel his execution will do much more harm than good.